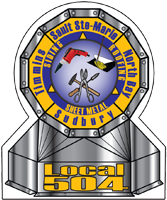 Local 504 offers a variety of courses on an ongoing basis. Courses will proceed provided that there is significant registration.The following courses are open to members who work under the Provincial Sheet Metal Collective Agreement. Apprentices will not be accepted for any course that interferes with night school attendance.